Video	Concert Video 2018December 6thKimbraSixth & I Historic SynagogueWashington D.C. Image	Concert Setlists 2018Concert SetlistsDecember 6thKimbraSixth & I Historic SynagogueWashington D.C. 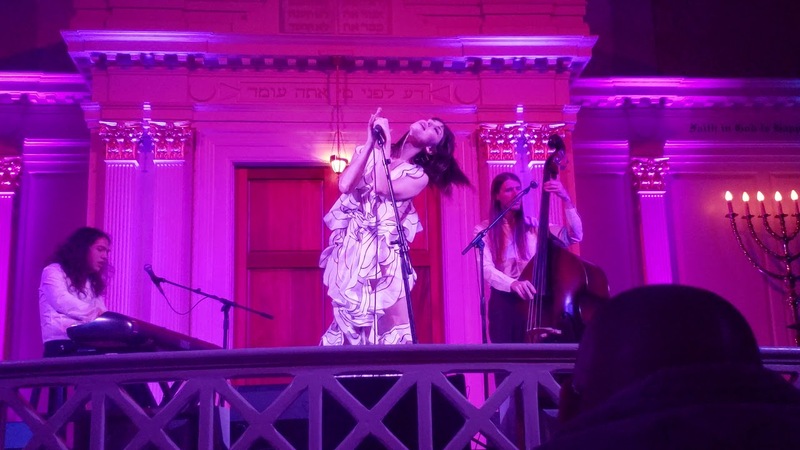 Image	Concerts 2018December 6thKimbraSixth & I Historic SynagogueWashington D.C.
Pre-show – Kimbra in Washington D.C.
View More Pre-show – Kimbra in Washington D.C.
Gallery	Concerts Travel 2018December 6thKimbraSixth & I Historic SynagogueWashington D.C. Image	Concert Setlists 20189:30 ClubConcert SetlistsJanuary 30thKimbraWashington D.C.
Video	Concert Video 20189:30 ClubJanuary 30thKimbraWashington D.C.